If you make music of any kind, or are just looking to upgrade your sound system from the decent-yet-not-audiophile Bluetooth speakers you currently use, you know you want a set of speakers that can handle the highest of highs, the deepest of lows and everything in between without sounding muddy or overly tinny, middy or bassy. You want a speaker set that can handle the deep boom of drum ‘n’ bass and the sweet, high melodies of a Mozart concerto along with any type of loop you can throw at it from your own collection. 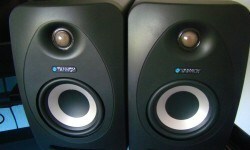 Studio monitors are a big deal when making music, as they offer up sound that is as true to the source as possible. You want to hear everything going on in your mix so you can make sure to create the sound that best captures your musical vision, whether during the recording, mixing or mastering phase. 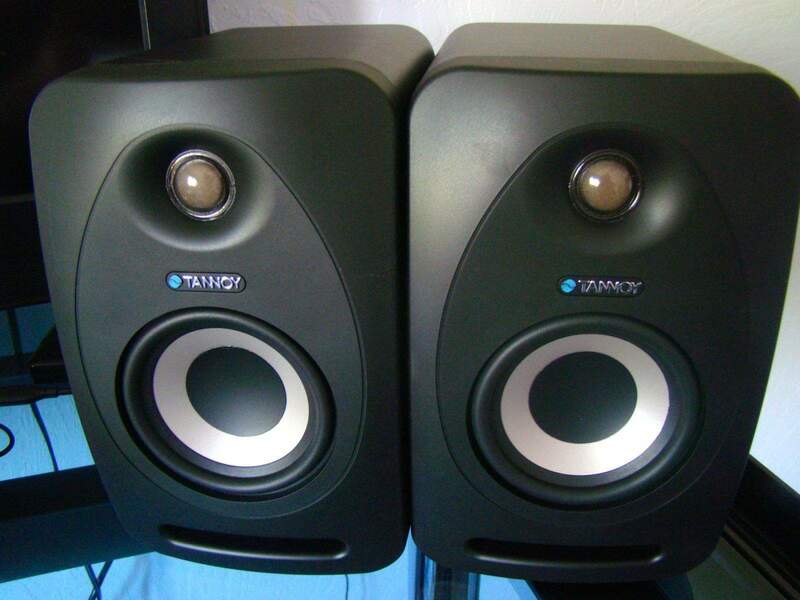 The Reveal 402 studio monitors from Tannoy promise to deliver unparalleled sound and fury without a huge footprint, letting you create music properly on today’s ultra-portable MacBooks. They also let you just plug in any sound source, from XLR to mini-audio jack, with ease, making these ideal for both music creation and plain old rocking out while you’re working. Yeah, they’re loud. They’re individually self-powered with a standard cable that you may have seen hanging out of the last PC tower you used. This delivers enough juice to drive the 50 watts of power through each compact speaker case into a 4-inch woofer and ultra-precise three-quarter-inch tweeter set just above. There’s also a big old resonator box in the bottom of each solidly crafted speaker cabinet for big sound with plenty of high to balance it out. I could hear every nuance in the music — every string, every wah-wah, every snare and high hat, and all the kick drum that drives the dance beat of the tune. As soon as I brought these babies home from the UPS hangar, I ripped into the box and got them set up in all of five minutes. You can plug one of the two included stereo one-eighth-inch audio cables from your Mac’s audio jack right into either one of the speakers, then slave the second one with the other audio cable for instant stereo sound. Once I did that, I launched iTunes and got Night Fever by the Bee Gees playing. Wow, what sound. I could hear every nuance in the music — every string, every wah-wah, every snare and high hat, and all the kick drum that drives the dance beat of the tune. I cranked it up until my kids came running into the room asking me what the hell was going on. These speakers move some serious air. When I ran my copy of Team Fortress 2, a first-person shooter, I watched as the woofer slammed back and forth while it reproduced the machine gun rattle and boom of a full-on combat game. I had to turn my sound way down for fear of smashing out my eardrums, let alone popping those woofers out of the speaker case. I even kicked open a couple of GarageBand files, too, and heard bits of the demo songs I’ve been working on in brand new ways. Man, that sounds sweet. 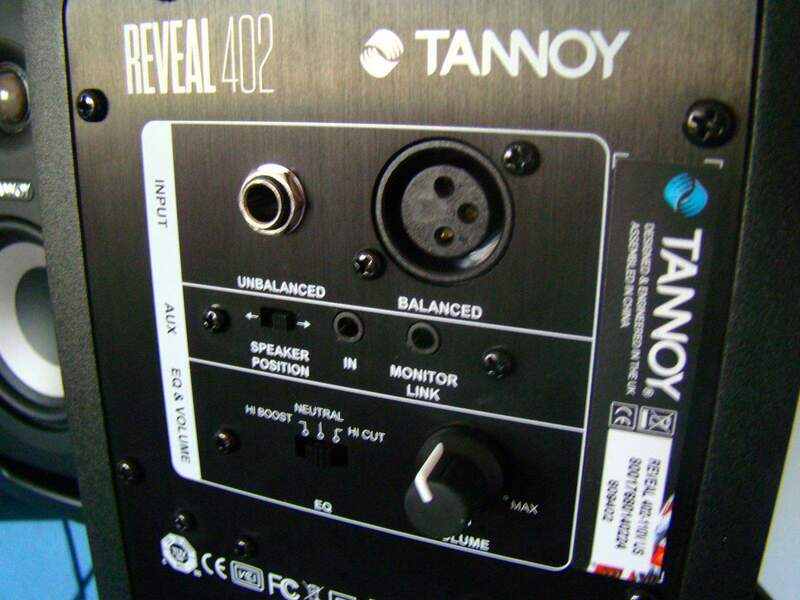 Being able to run XLR cables to the Reveal 402s from a professional PA system is a grand thing as well, making this a brilliant multipurpose monitoring kit, and one I can use both in the rehearsal room and at home. The speakers’ 9.5-inch by 5.8-inch by 8.4-inch dimensions make them easy to pack up and tote with me along with the rest of my gear, though I sort of wish there were mic-stand mounts so I could use them as my own personal monitor while performing with the band. 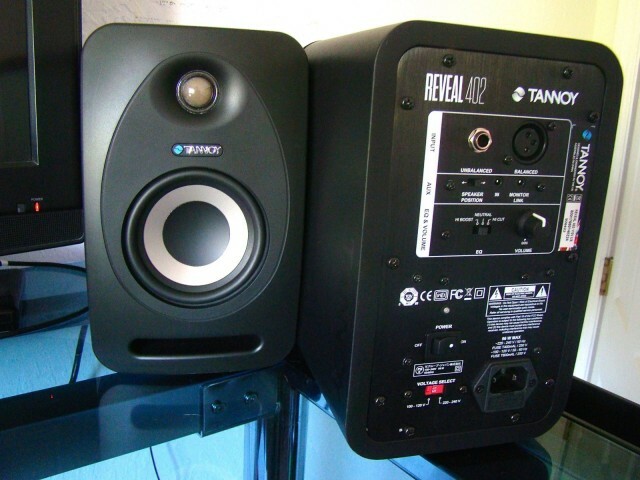 These are by far the best monitoring speakers I’ve ever used, and they’ve upgraded my home workstation immensely. There’s an independent volume knob and an equalizer switch on the back of each speaker, too, which lets you fine-tune the volume for your different environments — a welcome feature. 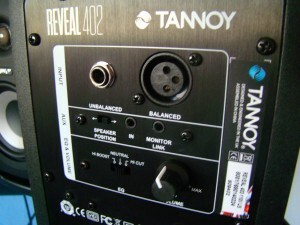 The Reveal 402s retail for $139.99 per unit, which makes them a screaming deal for anyone serious about their music. They deliver amazing sound in a tiny package, whether you want to create and mix your own music or just have a huge stereo sound at your desk. The good: Huge sound with a broad sound palette — lovely highs, deep bass response and mids that don’t muddy up. Useful for music creation and just plain listening. The bad: Pricey to just listen to MP3s; need a way to mount on stands for stage work. The verdict: If you’ve got the cash, these are a fantastic buy for their size and ultra-capable sound reproduction alone.